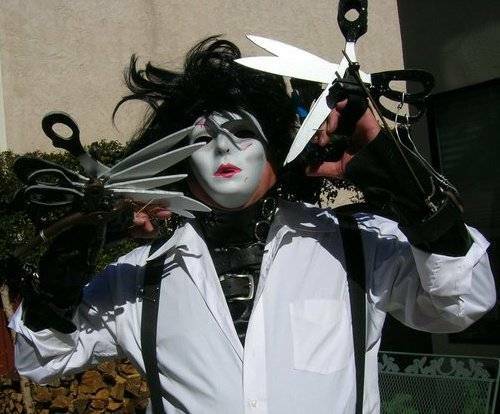 Jay Hanks, owner of Allerton Harbor Canvas, shows off his costume of Edward ScissorHands for the MFA convention's costume party. The entry won 1st Place. The garments were designed and fabricated at A.H. Canvas. The 2011 Marine Fabricators Convention was held in San Diego. 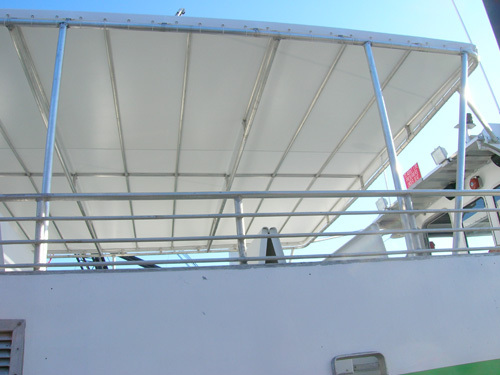 Here is a link to an article in Marine Fabricator Magazine written by Jay Hanks, owner of Allerton Harbor Canvas. We are happy to announce and honored to have won An Outstanding Achievement Award for Tops 27� and up. 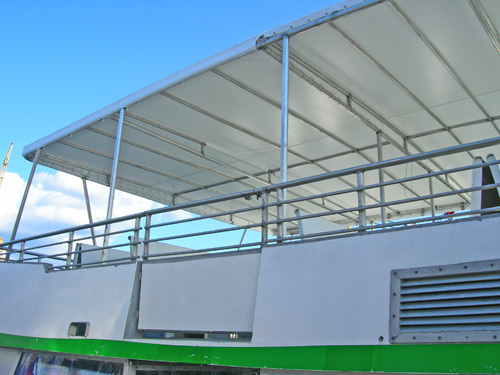 This is a National Award judged by Master Craftsmen of the Marine Fabricators Association (MFA), which is a division of the Industrial Fabrics Association International (IFAI), they sponsor a competition for marine fabricators throughout the United States, Canada, and the Caribbean. The awards are based on design, craftsmanship, originality, and difficulty. For more details follow this link: http://www.marinecanvas.com/awards_2010.html under; MFA Fabrication Awards - tops. 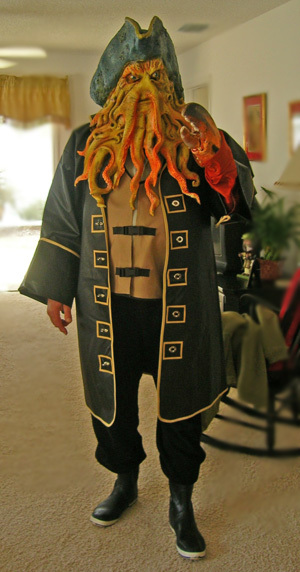 Jay Hanks, owner of Allerton Harbor Canvas, shows off his costume of Davey Jones for the MFA convention's costume party. The garments were designed and fabricated at A.H. Canvas. For the fourth year Allerton Harbor Canvas is a proud sponsor of the Great Chase Race at Hull Yacht Club on September 12th. One of the largest sailing events in the Boston area. 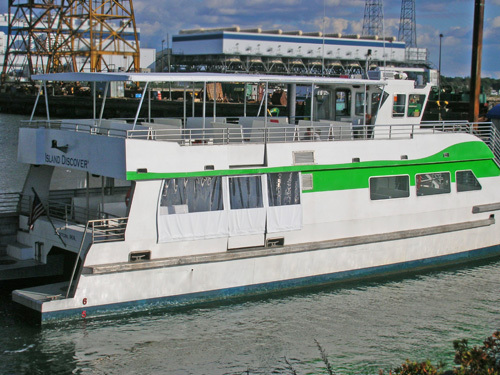 See a video about Steamboat Wharf Marina (our new home). 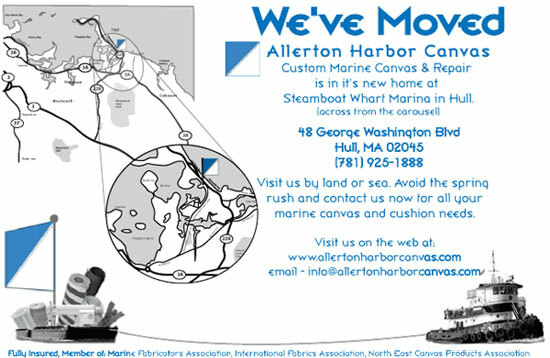 Allerton Harbor Canvas has completed moving to its new home at 48 George Washington Blvd, Hull, MA (at Steamboat Wharf Marina across from the Carousel). Come on by and check out the new, spacious location!